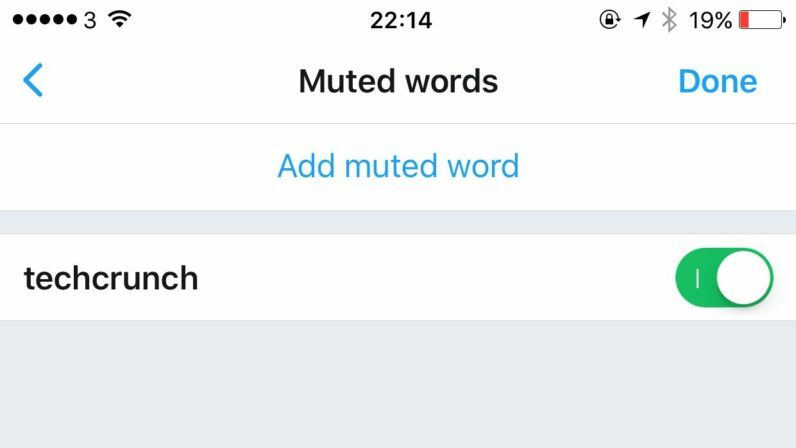 It seems Twitter is working on a new ‘muted words’ feature that will enable you to block certain keywords and phrases from showing up on your feed. Numerous iOS users reported spotting the new functionality on Sunday, but the company was quick to disable it moments later. A trusted source tells us the feature was enabled ahead of schedule accidentally, but it will likely be included in future iterations of the app. This is how the ‘muted words’ functionality looked like during the period it was active. As you can observe in the screenshots, the feature will be accessible under the ‘Notifications’ menu in settings. Once you’ve toggled the functionality on, you’ll have the option to create your own list of unwanted words and phrases. While it’s not entirely clear how the ‘muted words’ will work, it will likely filter out any muted hashtags from showing up in your timeline and search results. In an effort to prevent abuse, two years ago Twitter introduced a ‘mute’ functionality that enabled you to block certain users and accounts from appearing on your timeline. Still, the company continued to struggle with its attempts to curb harassment on the platform. With the addition of the new ‘muted words’ feature, users will have yet another tool to filter out potentially disturbing content from reaching them – hopefully, things work out as intended this time around. Among recent unsuccesfull buyout rumors as well as diminishing stock value and user base, the last thing Twitter needs is making its users feel violated and unsafe.